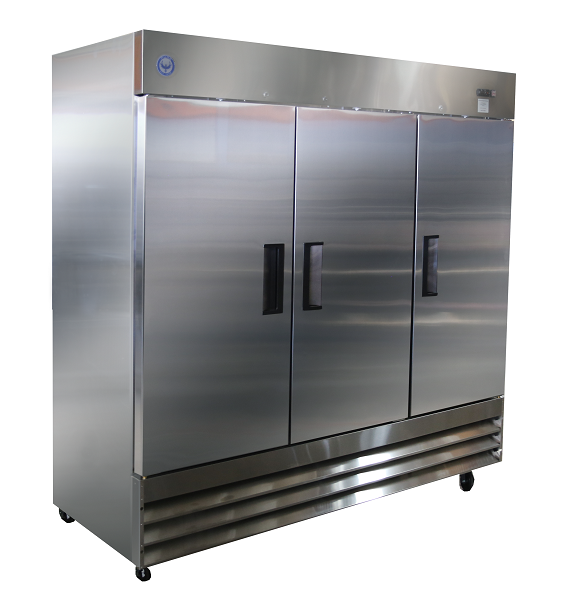 If your market or restaurant is looking to have carry out merchandise our black 3 door merchandising refrigerator is ideal for your situation. 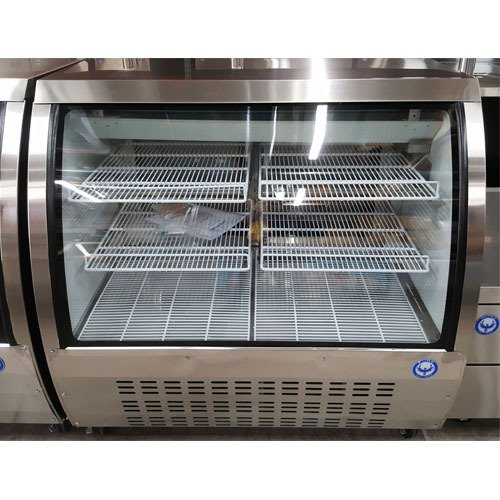 This unit features a modern black finish and and three anti-fogging glass doors for easy visibility, it also offers 53 cubic feet of cold storage. 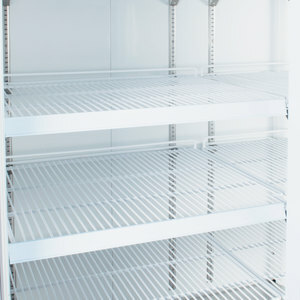 This unit features 12 shelves to allow product separation and interior LED lighting to make your products stand out. This unit also features a lighted top graphics display to draw customer traffic. This merchandiser boasts interior LED lighting on either side of the middle door to always show your products at their best, and three self-closing, anti-fogging glass doors help keep your view of the interior crystal-clear. 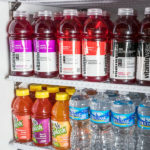 It is safe for bottled and canned beverages, and can also be used to show off salads, sandwiches and other pre-packaged foods! 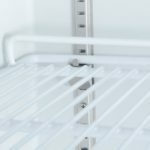 Made from plastic-coated steel, the shelves in this refrigerator are easy to install and adjust to meet the demands of changing inventory needs. Each shelf has a 50 lb. load capacity. 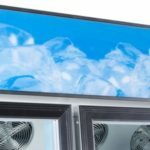 Your drinks and foods will draw customers in on their own, but to help the merchandiser and your refrigerated goods stand out and be noticed, this model comes with a lighted panel above the cabinet. 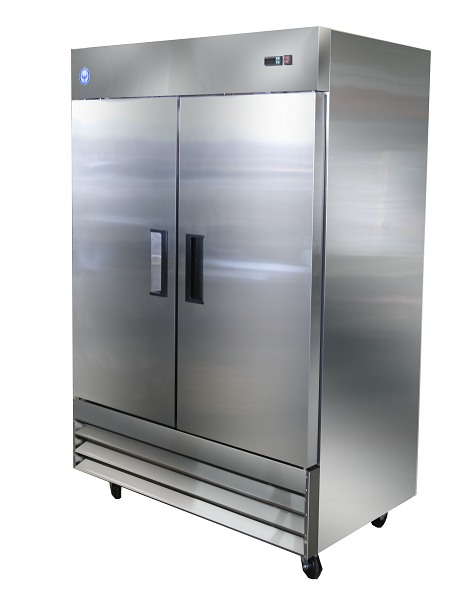 It will improve your unit’s visibility no matter where you choose to install it! 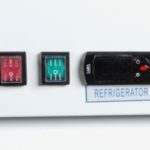 An intuitive control makes it easy to adjust the temperature and perform advanced functions as needed, and it also comes with a separate switch for the lighting. A digital display allows you to see the temperature inside. 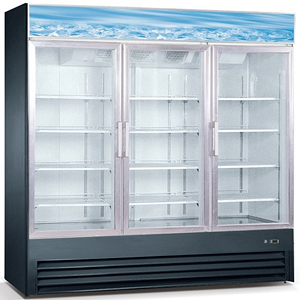 Be the first to review “PGDR53 53 Cu Ft Glass 3 Door Refrigerator” Click here to cancel reply.